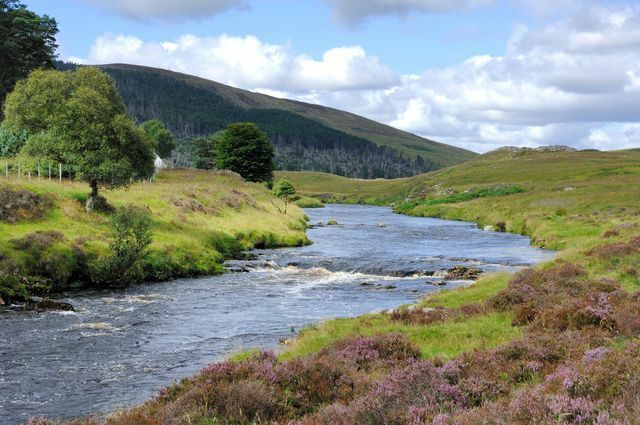 The Kildonan Burn is located at Baile an Or. From 2018, the Suisgill Estate is prepared to allow recreational gold panning (i.e. not commercial or for financial gain) on the Kildonan Burn for a small fee and provided the rules, set out below, are observed. The fee is to cover administration costs and any profits will go towards the upkeep of Kildonan Church. Panning is thus under licence from the Estate, and it should be understood that permission is not available through any other party. Permits may be purchased from The Garrison in Helmsdale Harbour and The Belgrave Arms. The Estate reserves the right to amend these rules at any time, to withdraw permission to pan, or to ban any person from gold panning permanently. 1. From 2018, all panners must purchase a panning licence (available in Helmsdale) and place a note in the box in the shelter at Baile an Or setting out their name, address and vehicle registration, together with the dates of their intended panning. 2. Between 1st October and 15th April, panning is strictly forbidden. 3. Between 15th April and 1st October of any year, panning may take place upstream from the stone bridge road at Baile an Or (grid ref. NC9116621371) up to the Kildonan Falls (grid ref. NC9115021637). 4. The maximum time allowed per year for any person is two weeks, which may be taken in not more than two periods. 5. Panning may only take place between 8 a.m. and 10 p.m., or dusk, if earlier. 6. Fires are not permitted by the estate. It is a criminal offence in Scottish Law (to light a fire within 30 meters of a road) and will be treated as such. 7. All litter must be removed from the site. 8. Dogs should not be allowed to roam and must be kept at all times within 10 meters of the handler or kept on a lead. 9. Competitive or commercial panning is forbidden. 10. The following actions are expressly prohibited:- a) digging into, undercutting, or in any way damaging, the banks; b) breaking or prising of rocks and boulders (i.e. if it can not be moved by one person with their bare hands then it should not be moved) and c) the diverting of burns. 11. The only implements permitted are a pan, a hand sieve (or ‘riddle’), a hand trowel, a small spade and a gravel pump with a maximum barrel width of 2.5 inches. 12. The use of sluices and any tools or equipment other than those specified above is strictly prohibited. ‘Sluices’ include any set sieves. The users of any such equipment will be treated as trespassers. For the 2018 season the fee will be £10 per day per person for a permit. Children under 16 free of charge. 16 – 18 yr olds and concessions £5. A 50% discount is applicable if staying in a local hotel or b&b. If you suspect any of the above rules are being broken by another party, we would be grateful if you would report it the Keeper on 07787 527824.